Mumbai: In a pristine white shirt, matching trousers and white leather shoes, Moothedath Panjan Ramachandran can be easily mistaken for a movie producer from Chennai or Hyderabad. He is not. The 64-year-old Ramachandran is the low-profile, almost reclusive founder chairman and managing director of Jyothy Laboratories Ltd, a company founded in 1983 that ended 2009 with around Rs1,000 crore in revenue—not bad for a company with an initial capital of Rs5,000. Jyothi burst on the national consciousness in the late 1990s with its Ujala Supreme—a liquid blue fabric whitener—brand, which was advertised heavily on television. In recent years, the company has launched Maxo, a brand of insect repellents, and Exo, a brand of dish washing soap. Ramachandran is also buoyant with the optimism of a first-generation entrepreneur. “When I open my eyes, I see only opportunities," he says. “Anybody here (in India) has a chance to grow." Like many others of his generation from Kerala, Ramachandran migrated to Mumbai in the early 1970s with the sole intent of finding a job in West Asia. Instead, he stayed back and became the accountant of a small firm called Chemicals and Aromatics, a position he held for 12 years. Even then, he would wear only white, a habit he picked up from his father. Besides, “wearing a white-coloured garment allows you to cultivate discipline, stay clean and calm, and draws the attention of others", says Ramachandran. His big problem in his years as an accountant was keeping his clothes white. So, Ramachandran started pottering around with chemicals with some chemists who worked at the same company. The aim was to develop a fabric whitener that could keep his small wardrobe of clothes sufficiently white. His experiments resulted in the product that would eventually become Ujala, but success didn’t come immediately to Ramachandran. In 1983, he returned to Thrissur where he had been born, and opened a small factory investing his life savings of Rs5,000. A few months later he was ready to shut shop—business had been bad—when he received an order for 1,000 bottles of Ujala from a distributor in Malappuram. Ujala has since grown into the country’s largest fabric whitener brand. According to India Infoline Ltd, it has a 72% share of a market worth Rs400 crore. Much of this growth came after 1997 when Ramachandran, in a burst of uncharacteristic aggression, bet the house on the brand. In 1997, Jyothy Laboratories’ revenue was around Rs100 crore. That year, Ramachandran spent Rs36 crore on advertising Ujala. “Everyone called us mad," says Anjan Chatterjee, an entrepreneur who started an advertising agency around the same time Ramachandran decided to invest in the Ujala brand. The agency, Situations Advertising and Marketing Services Pvt. Ltd, handled the brand’s account. The huge advertising budget and a catchy jingle—the sort that plays on in an unending loop inside the head—helped, says Chatterjee: retailers across the country started demanding Ujala. Ramachandran was equally aggressive in taking on Reckitt Benckiser Group Plc (it owned the rival Robin Blue brand of fabric whitener), in the market and in the courts. Ujala took potshots at other blue fabric whiteners, a tactic Reckitt took exception to because it claimed this was aimed at its brand Robin Blue, and approached the Monopolies and Restrictive Trade Practices Commission and later the high courts in New Delhi and Kolkata and even the Supreme Court. The case was decided in Jyothy’s favour. Reckitt didn’t respond to requests for comment. In some ways, this aggression is also reflected in the company’s desire to enter the laundry services space, but both Ramachandran and his deputy managing director Ullas Kamath— he too wears white—have remained conservative in most other aspects of running Jyothy Laboratories. Both men admit that they were interested in acquiring Balsara Hygiene Products Ltd—it owns brands such as Promise toothpaste, Odomos insect repellant, Chandrika brand of soaps, and Fem Care Pharma Ltd. The Burmans, who run Dabur India Ltd, acquired Balsara Hygiene and Fem Care and Wipro Ltd bought Chandrika. “All the three (sellers) came to us, but we found the valuation too steep for our liking," says Ramachandran, who claims he doesn’t regret the decisions. Kamath adds that the firm has always found it easier to develop products from scratch and that it doesn’t believe in paying high prices to acquire brands. Over the years, Ramachandran, who has several eccentricities—the fondness for white is one; his Mercedes is white, as are his other cars, all bearing the same number, 3,339—seems to have perfected a home-grown model of staffing and management that works for him. Around 400 of his 5,000 employees have been around for at least 15 years. Some of the 5,000 employees—termed the “suicide squad" by Chatterjee because of their effectiveness —have the responsibility of directly managing retailers, around a million of them, according to Ramachandran. Ramachandran’s different approach in management is also evident in how his company gathers information. “We know what is happening across the country with just 20 phone calls," says Kamath, who came on board in the 1990s to help launch Ujala in Karnataka and has since grown to become Ramachandran’s closest confidant. Ramachandran has a weakness for testing products in Kerala. “Keralites are very choosy people. If they accept it, then the product will sell anywhere." He is also different from other consumer goods manufacturers as his business is vertically integrated: from plastic bottles to the liquid dye, all are made in-house. The laundry business, however, is being tested in Bangalore, because the city has a lot of young working couples. In two years, Jyothy Laboratories hopes to take the venture national. Here’s how the laundry service works: Jyothy’s employees will collect dirty clothes from customers at their doorstep, and deliver them after they have been cleaned. The firm has invested Rs30 crore in a hi-tech laundry in Bangalore, which will serve as a hub for the business when it goes national. Designer clothes and sarees will be air-freighted from other cities to Bangalore. And, in keeping with Ramachandran’s philosophy, the business will target the mass market. For a fixed fee, the company will take care of the laundry needs of a family for a month. Clearly Ramachandran is unfazed by the failure of others, including HUL, to crack the code of the laundry business. Ramachandran, who took a year to figure out the contours of the business, is focused on delivering a reasonably priced offering and is insistent that he will not outsource any part of the service. Still, “it is a tough business", says Dalip Sehgal, managing director of Godrej Consumer Products Ltd. “Expectations of customers are high." Sehgal’s logic runs thus: An organized laundry business competes with the neighbourhood laundry services provider, who is willing to pick up and deliver as few as three pieces of garments from door to door. Then, the pricing has to be right. If it is on the higher side, then the organized laundry loses the bulk of the business as consumers will only offer their expensive garments. “Companies need to not only figure out an affordable pricing strategy, but also be able to meet high service expectations," adds Sehgal. He should know: at one time, he was head of the team at HUL experimenting with new businesses such as the laundry one. Kamath insists that the company has done its homework: Jyothy Laboratories hired audit and consulting firm KPMG to fine-tune its business model. A KPMG consultant and two Jyothy executives travelled the world studying the laundry business. The model is still being tweaked, but Jyothy Laboratories says that the business will earn it Rs25-30 crore in its first full year of operations. Getting the model right isn’t Jyothy Laboratories’ only challenge. It is difficult for a product company to acquire a services mindset, says Sehgal. 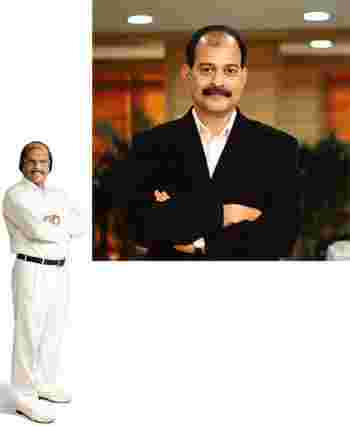 Mint learnt that his views on the laundry business were informally sought by Kamath; despite his not-very-encouraging response, Jyothy Laboratories went ahead with its plans—a move long-time associates of Ramachandran attribute as much to his ability to spot opportunities where others can’t as to his stubborn streak. Analysts aren’t impressed, though. Investors will likely be more comfortable with a company investing money in its traditional business, which is successful, rather than in a new one that looks attractive, but with no certainty of profitability, says Ruchak Mehta, a research analyst at Parag Parikh Financial Advisory Services Ltd, who tracks Jyothy and has changed his recommendation from “buy" to “hold". Jyothy Laboratories’ shares gained 0.6% to end at Rs159.05 each on Wednesday on the Bombay Stock Exchange on a day the exchange’s benchmark Sensex index rose 2.1%. The stock touched a year’s high of Rs192 on 4 December and a year’s low of Rs47.25 on 5 February. The firm ended the year to March with a revenue of Rs1,062 crore and a net profit of Rs80 crore. It ended the three months to September—the latest available numbers—with a net profit of Rs24 crore on revenue of Rs348 crore. Almost three decades after it was set up, Jyothy Laboratories is in the same league of consumer product companies such as Marico Ltd, Emami Ltd, Dabur and Godrej Consumer Products. Many of these firms are growing faster than their multinational peers, although the latter have the additional challenge of growing on a large base (the Indian firms are much smaller). Ramachandran says the firm’s best years lie ahead. His dream is to grow, over the next 25 years, Jyothy Laboratories into one of India’s largest consumer goods company rivalling multinational firms such as HUL in terms of revenue. From a one-product company, Jyothy Laboratories has managed to become a consumer products firm with several successful brands. Ujala now accounts for only one-third of the company’s revenue. The next generation of its leadership, Ramachandran’s daughters Jyothy and Dipti, are being groomed by Kamath. And the company is betting big on laundry services that Ramachandran is convinced, will be a winner. Could this be the company that breaks the mould and becomes the first mid-sized success story among consumer products companies to make the transition to the major league? Ramachandran is convinced it is.